On Oct. 2, 2014, Ignacio Franco Palomar III, 39, struck Gregory Arthur Rustigan, 38, from behind outside Ralph and Duane’s Bar. The punch knocked Rustigan to the ground and caused his head to hit a concrete curb. After the attack, Rustigan went into a coma. He died about a month after the assault. 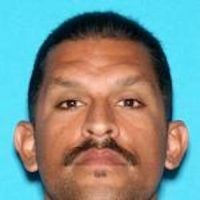 Arroyo Grande detectives tracked Palomar to a Fresno neighborhood, where he was arrested with help from the Fresno County Sheriff’s Office and the U.S. Marshal’s Task Force. On the night of the assault, Rustigan was intoxicated and was allegedly flirting with Palomar’s cousin inside Ralph and Duane’s. The victim reportedly did not realize that Palomar was a documented gang member with violent tendencies. During a trial held this month in San Luis Obispo Superior Court, Palomar’s attorney argued that his client acted in self defense. Surveillance footage was only shown from inside the bar, not outside where the fatal fight occurred. Palomar now faces a prison sentence of at least 15 years to life. On Friday, a hearing will take place to evaluate Palomar’s two prior felonies, in accordance with California’s Three Strikes Law. “Documented gang member”. Well at least he’s documented for something.